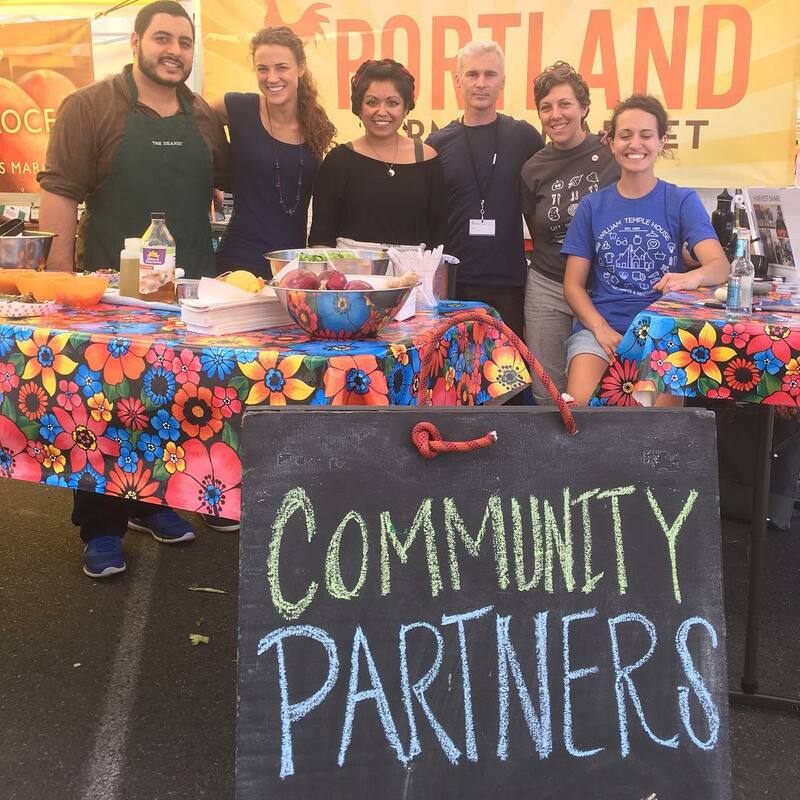 Portland Farmers Market proudly offers booth space at our neighborhood markets for community groups to engage with our shoppers and provide information on the work they are doing to improve our community. We offer space at Kenton, King, Lents International Farmers Markets. We do not offer space for community groups at our PSU or Shemanski Markets. Detailed information on each of our neighborhood markets can be found below. Interested in a booth space for your community group? Review our Community Group Guidelines below. If we are able to offer your group a booth space at one of our markets we will get back to you. Thank you for your interest. Non-profit or community-serving groups relevant to our specific market communities. Groups with a local connection, or particular relevance, to the neighborhood the market is located in. Groups who have a major focus in a topic related to local food and/or farms..
Groups who have a major focus in a topic related to local food and/or farms, or other aspects of our mission, vision, and values. Organizations may be scheduled for one date per season at each market as space allows. PFM operates rain or shine. Participating organizations must staff their booth for the entirety of market. Failure to arrive on-time or leaving early may impact ability to participate in future markets. There is no fee for community group participation. Leave the market early unless special permission is granted from market management. Sell items from the booth (including raffle tickets), or fundraise (including donation jars and in-kind services). Give away items that directly impact the sales of market vendors. Be political or religious in a partisan manner. Political issue advocacy for issues that directly relate to Oregon and Washington farmers. Religious organizations conducting education and outreach with non-religious messages. PFM is happy to provide you with a 10 ft x 10 foot canopy, a 4 ft to 6 ft table, and two chairs, If you would like to use your own tent or table, please let us know in advance. Onsite market staff will submit a “yes” or “no” rating of your community booth’s engagement with shoppers to PFM’s Program Coordinator, taking into account shopper and vendor feedback. Organizations with a “yes” rating may be invited to return the following season. We ask that community participants arrive no later than 9:30am and be ready to engage with shoppers by 10am. Street parking is available around the market. After you set up, please park three blocks from market site to allow space for market shoppers. A portable restroom is located across the cul-de-sac next to the baseball field. We ask that community participants arrive no later than 2:30pm and be ready to engage with shoppers by 3pm. After you set up, please park three blocks from market site to allow space for market shoppers. Dates and Hours: Sundays, June – November 18, 9am to 2pm. We ask that community participants arrive no later than 8:30am and be ready to engage with shoppers by 9am.